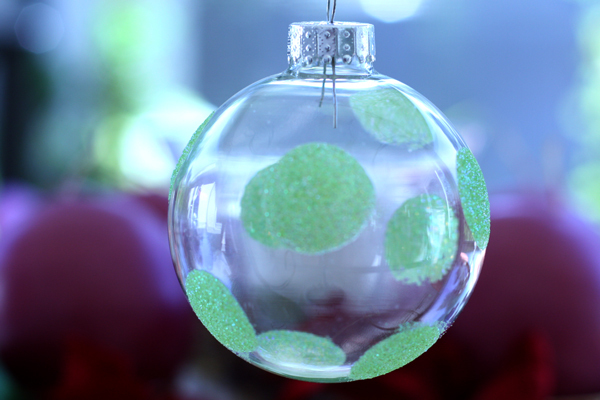 Last week I tried out this fun way of making glitter ornaments. 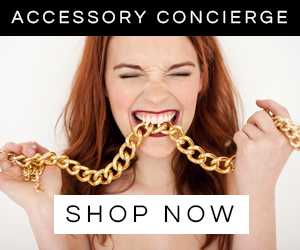 I love glitter and its shine at the holidays but not the mess. 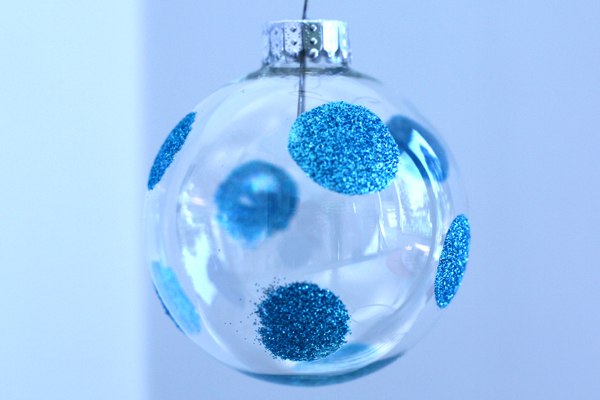 Coating the inside of a clear glass ornament with glitter is a great way to get the shine without the mess. 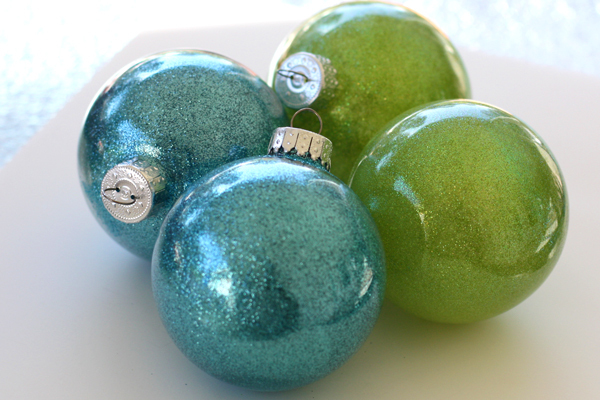 I made some ornaments in my color theme- aqua and green. 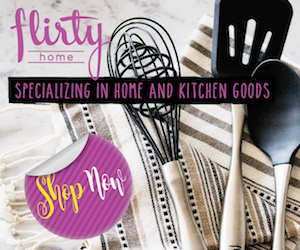 You can buy a specially made product for this project or you can use floor cleaner. Yep, floor cleaner. I started seeing it on several sites and had to give it a try myself. Just swirl the cleaner around in the ball and then pour out the excess. Shake in the glitter and coat the inside of the ball. Done! Easy! and so pretty. I also saw an idea from Michael's for some polka dot ornaments. 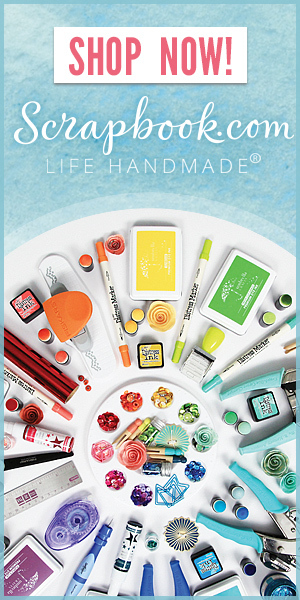 You'll need Mod Podge and some spouncers for this one. 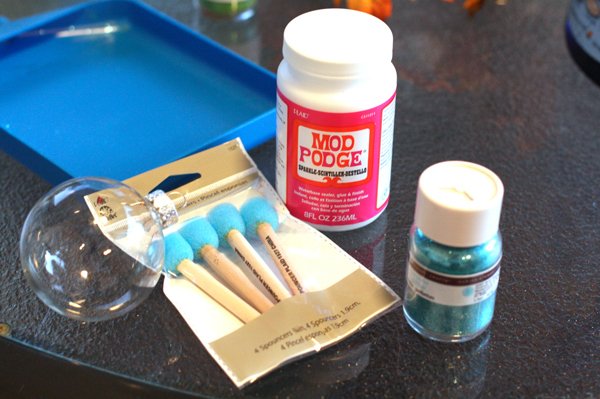 Make dots on your ornament with the Mod Podge and spouncer and coat them with glitter. Once they are dry you can use a soft paint brush to brush away the excess glitter. Another quick and easy craft for the busy holiday season. I love how the ornaments with the glitter inside turned out! 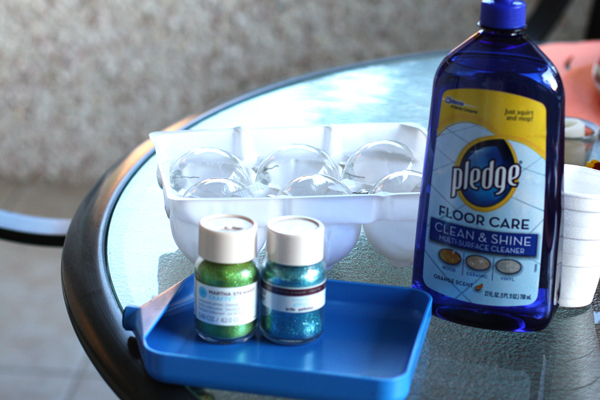 Do you know what would happen if you used regular glitter? Love the look of these! Pinning now! Those are just tooo cute! Dang it I wish I had read this one day sooner. I'm behind in reading obviously since I'm just now reading. I had bought some clear ornaments but decided I didn't have time be creative and returned them. Maybe if my daughter wants to make some we'll go by the supplies. Thanks for sharing. I made some about a month ago. They look great with regular glitter too. I am making 60 more this weekend as a thank for volunteers in children's ministry at my church. Does the floor cleaner really keep the glitter on the inside of the ornament? Very interesting! Yes, it really works. I can't explain how, but it's amazing. Ooooooooooooooh! I love! You know what we say, Glitter makes everything better!! Love these! I have a gigantic stash of clear ornaments just waiting to be covered in glitter! 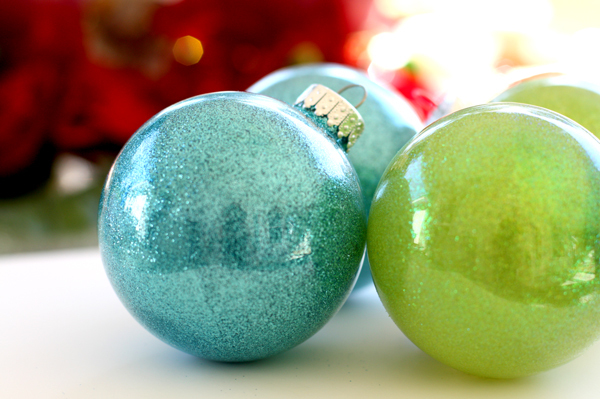 Love your solid and polka dot ornaments!